Jared Unzipped: The Annabelle Doll. Do you believe in haunted dolls? No, of course not. Only simpletons believe in such nonsense. You're reading this blog, so you are obviously intelligent. But, I digress. I recently learned of a supposedly haunted doll called Annabelle. I frequent a number of classic horror film related blogs. One such blog recently made reference to a new movie hitting theaters, also called Annabelle. This film claims to be based on a totally true story, to which my Fraud-O-Meter began to go off. Here's the scoop. Annabelle is a doll in the possession of Lorraine Warren. 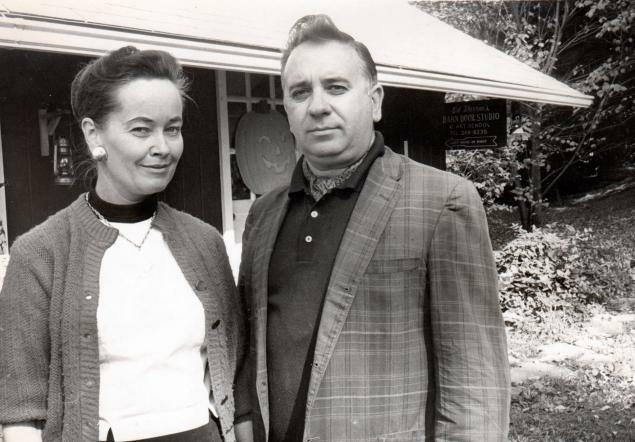 She's the widow of longtime paranormal investigator Ed Warren. Lorraine herself has claimed to be a medium and to possess otherworldly powers. The Warrens claim to have received this doll from a mother and daughter in the 1970's. The doll would make small, gradual movements around the daughter's apartment, eventually moving from one room to the next. Upon holding a seance, they learned that the spirit of a deceased child named Annabelle inhabited the doll, hence the name. This child was found dead on the grounds of the apartment building long before it was built. Once the Warrens began to investigate the doll, they determined that the information learned in the seance wasn't "true". Human spirits of the deceased can only possess other humans. Inhuman spirits, such as demons, are apparently allowed to possess inanimate objects, though. As the Warrens continued to study the doll, they found that it had the tendency to be present when other people had fatal or near-fatal accidents. Based upon their "evidence", the demon was in the second stage of infestation. Had the doll been allowed to continue to reside in the apartment, it would have evolved towards higher levels of infestation and eventually possessed a human being. This, most certainly, would have lead to full on possession and a murderous rampage. The Warrens took the doll to their personal museum of haunted paraphernalia, where it resides to this day. The doll sits behind a locked glass case, with a warning not to touch or taunt it. Visitors to the museum can see the doll on display. There are so many holes in this story, I could pilot a sailboat through it blindfolded. If the doll really is possessed by an inhuman demonic spirit, couldn't it "leap" from one inanimate object to the next? Say from the doll to a cell phone. Or perhaps into a lamp post? Nay... even better - an automobile! The information made public by the Warrens provides no source material or physical evidence. All references to the involved parties are ambiguous. No explanation is given as to whom the victims were, nor how the doll appeared to be moving. If a powerful demonic spirit resides in the doll, then how in the holy hell does a glass case prevent it from causing trouble? Do you really think a demon would claw its way up from the depths of Hell... only to be stopped by a single pane of glass? If the doll can move, then couldn't it break the glass? How come no one else but the Warrens have claimed to have seen this doll move? Why didn't the doll reflect the demonic spirit it contained before the Warrens learned of it? Don't you think a doll moving on its own would have made international news in the '70s? I could go on and on, but you get the idea. This whole story is a sham of epic proportions. A film has finally been produced about this doll, relegating this entire hoax into the category of snake oil. I would suspect that this was the intent all along. Maintain the story long enough and surely some producer would come along to create a major motion picture about it, right? Here's a link to the official Annabelle Doll page at the Warren's website -- The New England Society for Psychic Research. As you can clearly see on their webpage, they were already geared up and ready for the film's release. The story of the Annabelle Doll is littered with grammatical errors and logistical inaccuracies. It is as if a child wrote the story for English class at the last possible moment. For my older or more studious readers, you may have heard of Ed and Lorraine Warren before. In fact, you most certainly have. They were the "lead" investigators of the real (and I say that loosely) Amityville Horror home. During their analysis of the Amityville house, they claimed to have been pushed around by demonic entities. History seems to repeat itself over and over -- create a story about ghosts, claim it's true, then wait for a movie to be made. Got it! And yet, this same plot invoked itself AGAIN with another case the Warrens "investigated". 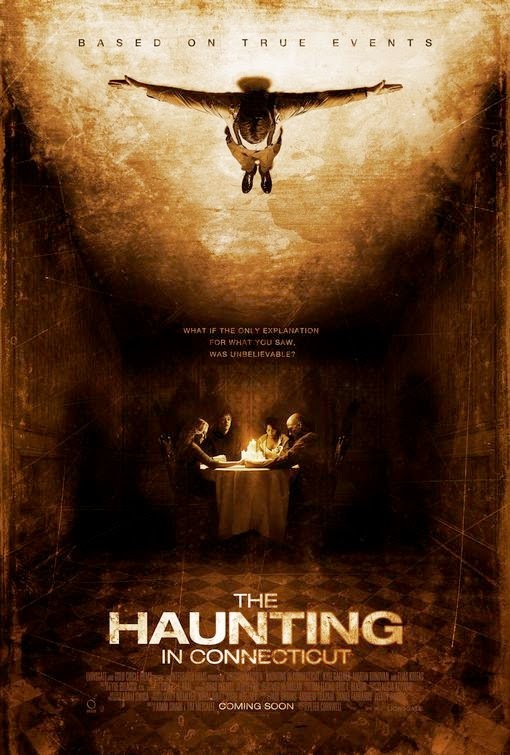 Ever heard of the horror film "The Haunting in Connecticut"? Yep, the Warrens had their hand in that story too. They apparently contacted the Snedeker family, whom rented a home in the mid 1980's and encountered ghosts there. Through the Warrens, a book was published that detailed the events in the home (just like had been done previously with the Amityville House). The book's author has since recanted the information contained within, stating that it was mostly made up to make it scary. Here's a great article about the entirety of the Snedeker case at Live Science. I could at least respect the Warrens the slightest bit more if they tried something original with each new tale. But no... they just keep going back to the same old well. I can't make this stuff up, folks. The Curious Case of the Honey Badger.